50 Winton Street, Ashton under Lyne, Lancashire, United Kingdom. OL6 8NL. We are the number one supplier for portable toilet hire throughout the North West. 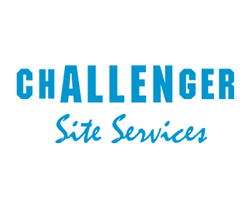 We have been supplying portable toilets (chemical toilets) to both the construction and events markets since 1994. As a family run business, we understand the importance of customer service and simply will not be beaten on our high standards. We have over 50 years' of experience within our management team alone, and several more years dispersed throughout the business. All our site staff are trained to both the Foundation Level and the Intermediate Level of the RoSPA accredited National Sanitation Qualification (NSQ) training scheme. We are also members of the British Safety Council and are accredited under the Contractors Health & Safety Assessment Scheme(CHAS). All our drivers are currently on track to attain their Driver CPC qualification before the September 2014 deadline. We are registered as a waste carrier with the Environment Agency (Reg No. CB/PM3983AJ). Our services include 240v Hot Wash Portable Toilets, Effluent tanker services, Event Toilets, Festival Toilets, Fresh water tanker services, Luxury mobile trailer toilets, Portable male urinals, Self contained mains toilets, Single portable toilets, Site Toilets, Third party servicing, Waste holding tanks and servicing, Water bowsers and pumps, Water delivery and Wheelchair accessible toilets.